As philosophiser Peter LaFleur said: "Money won, is a lot sweeter than money earned." So yes, winning this Intel Core i7-8086K would indeed be the sweetest prize for a nerd looking to build his or her next gaming rig. Even betterâ€”this limited edition CPU with its anniversary name of 8086K (get it?) is made even more collectible as it has been signed by none other than Intel's Senior VP Gregory M. Bryant. Need we say more than: 5GHz. Overclockable. 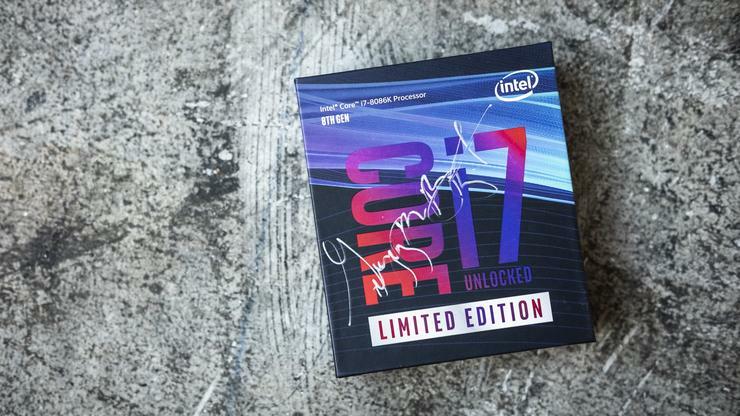 Signed Limited Edition CPU. To enter, simply click the widget below and fill out your name and address. Only legal residents of the 50 United States, including the District of Columbia, or Canada (except Quebec) are eligible to win. You can sign up for more chances to win by subscribing to one of our social media channels. Once you do just kick back and dream of putting this extremely cool CPU on the shelf next to your unopened action figure of Leonard Nimoy.